The glitz and glam isn’t all that Vegas has to offer. This thriving city is now home to the Golden Knights NHL team and the United Soccer League’s Las Vegas Lights FC. In 2020, the National Football League’s, now, Oakland Raiders will relocate to Las Vegas, and outside of sports there are a growing number of startup businesses planting roots in town. The high profile move of Zappos headquarters from Henderson to downtown Las Vegas in 2013 was CEO Tony Hsieh’s effort to revitalize the city’s downtown area, called the Downtown Project. The rest of the country is taking notes as Vegas continues to position itself as a leading city for business startups. Today, Zappos, the wholly-owned subsidiary of Amazon (acquired for $1.2 billion in 2009), and its 1,300+ employees produce approximately $2 billion in annual revenue. While it began as an online shoe company, the company diversified its portfolio and now sells clothing for men, women and children. Hsieh’s decision to move 1300+ employees into the heart of downtown certainly kick started a new age for the city. Zappos is known for its creative and unique company culture that centers around collaboration and interaction. Their headquarters features moveable desks, ceiling power for increased flexibility, and an urban-like working space. Over the past few years Zappos has made a huge impact on downtown Las Vegas and the growing community. What is the Downtown Project? The Downtown Project was founded in January 2012 with a mission of accelerating the three C’s: collisions, co-learning, and connectedness. When the city focuses on these attributes, Las Vegas’ urban core, productivity, innovation, growth, and happiness will fall into place. The project has helped to revitalize the downtown area through investments in real estate development, small businesses and tech startups, arts, culture, and education. And it’s working! The Downtown Project has already invested $350 million towards downtown Las Vegas’ revitalization, with $200 million in real estate and development, $50 million in small businesses, $50 million in technology and Las Vegas startups through VegasTechFund, and $50 million in arts and culture, education, and healthcare. Plus, over 1,500 jobs have been created or supported as a result of the project and its development has inspired many new businesses in Las Vegas, especially tech-related companies, to grow in this city. Las Vegas is now among the top places for business start up activity, according to an analysis done by the Kauffman Foundation. The analysis of startup activity across 39 metro areas and all 50 states found that Las Vegas was behind only Miami, Austin, Los Angeles and San Diego. In fact, Nevada has 108.4 startups per 1,000 employer businesses. The runner-up, Oklahoma sees a significant drop with 72.9 startups per 1,000 employer businesses. Larger, national companies are also taking note of this city, with multiple local Las Vegas startups being acquired. These “acquisition worthy” startups in the valley are catching the eyes of people like RevUnit CEO Joe Saumweber, who said the growing infrastructure and success stories out of Las Vegas were a large factor in their decision to acquire Teamvvork, a startup digital marketing agency. Las Vegas offers an exceptional pool of talent, an affordable cost of living, and an entrepreneurial ecosystem. The emerging tech startup ecosystem has brought life back into Las Vegas’ traditional hotel and gaming-centric economy. Many local entrepreneurs are creating digital products and services similar to those coming out of Silicon Valley. Keep an eye out for companies like JRNL, an app designed to help users capture meaningful content from their life or StoAmigo, an app where users can access, transfer, and send files from any device, regardless of where they are stored. Creativity and innovation continues to provide downtown Las Vegas with a promising new era of business development beyond the Strip. 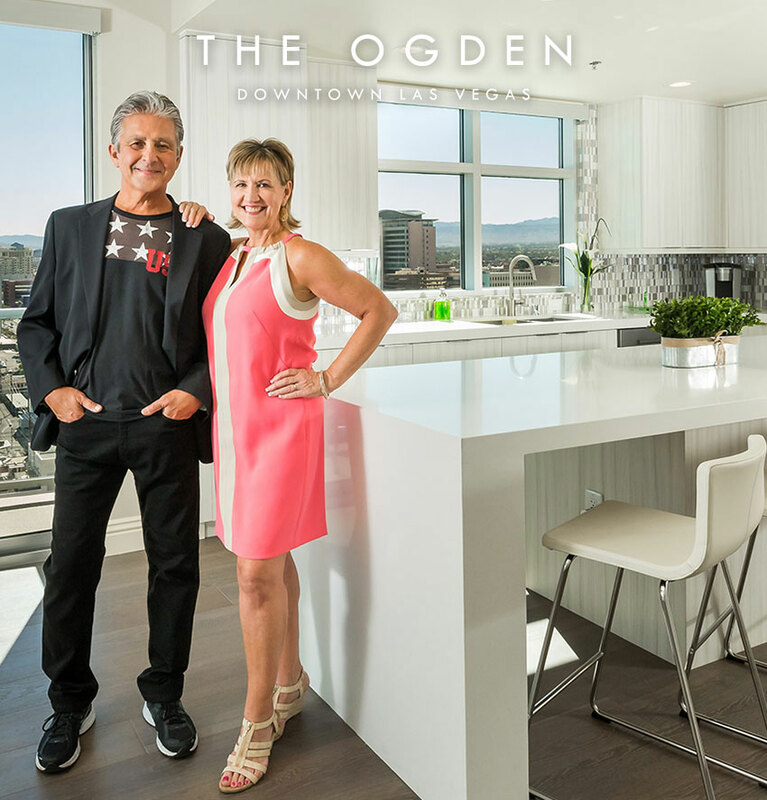 With the continuing development of the Downtown Project and the inspiringly fresh vision that Tony Hsieh brought to the community, it’s only a matter of time before downtown Las Vegas becomes the place to be for young professionals.